New York Gov. Andrew Cuomo (D.) signed into a law a new reproductive health act that expands abortion rights in the Tuesday night. The more expansive measures came on the 46th anniversary of the historic 1973 Roe v. Wade Supreme Court case, the Albany Times Union reported. The law updates New York abortion laws to meet the original standards laid out in Roe v. Wade. When New York legalized abortion in 1967, it was progressive. Since Roe v. Wade and the expansion of abortion across the country, however, New York's laws have become more conservative in comparison. The new law puts abortion squarely in the realm of public health law, expands practice to any licensed abortionist, and legalizes abortion after 24 weeks if the woman's health is in danger or if the fetus is deemed unviable. 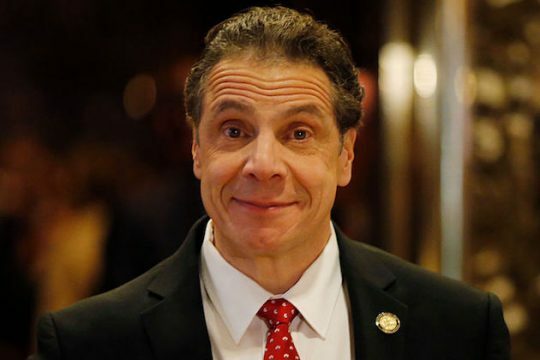 Cuomo said that this bill is historic because he believes it will stand in opposition to President Donald Trump's pro-life positions. "It's bittersweet. There is a bitterness because we shouldn't be here in the first place," Cuomo said. "We should not have a federal government that is trying to roll back women's rights … This administration defies American evolution." Cuomo added that he believes it is possible that the Supreme Court will try to overturn Roe v. Wade. To emphasize his support for abortion rights, Cuomo presented Sarah Ragle Weddington—who defended the original Roe case—with a New York Public Service Award. "When I started working on what became Roe vs. Wade, New York was one of the very few states that women could go to for good legal services," Weddington said earlier in the day. "So I was one of the people helping to raise money for women to be able to get to New York. … So now, to see New York pass a bill so that right is protected, is just a dream come true." This entry was posted in Issues and tagged Abortion, Andrew Cuomo, New York. Bookmark the permalink.